The Acme fountain pen nibs use German manufactured reservoirs and components, with medium nibs made of gilt steel with an iridium writing point. 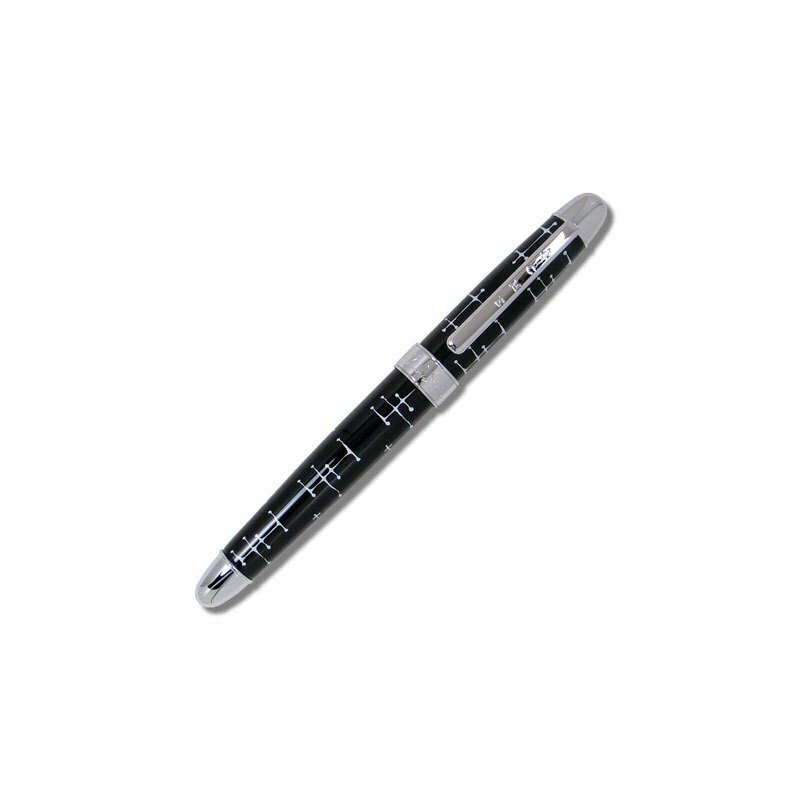 All Acme writing Tools come with a small bio card attached to the pen, providing biographical information about each pen's designer. Acme rollerball pens come with standard rollerball refills. Standard color is black and additional refills also available in blue.